We Offer So Many Member Benefits! 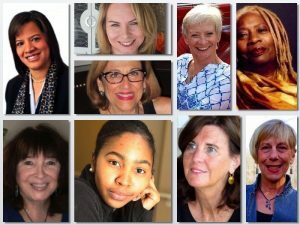 We are a unique global community of women who write and support each other every day! Enhance your writing life by joining the Guild! MEMBERSHIP PRICING for our Annual Summer Conference at Muhlenberg College in Allentown, PA. Register here. A registration DISCOUNT for our regional conferences in Boston, New York City, Florida and more. View the calendar here. A DISCOUNT for our Digital Village Webinars. View the calendar here. A DISCOUNT on submission fees to our literary contests. Your own WRITER PROFILE in our upgraded online Member Directory with your bio, contact info, and active links to your website and social media. (This feature is optional and you may choose NOT to make your profile public.) This member marketing benefit allows other members and the public to find your profile on our website, search for you by name or state, view your photo, read your bio, and click on live links to your website, blog or social media. You may participate in two MEMBER FORUMS: our Facebook Members’ Room and our Writer’s Share Forum. Engage with other members, share your writing successes, and swap knowledge to support your writing life, post new writing for comments, seek and offer tips, advice, submission opportunities, articles, and interviews. Our Facebook Room is here (members must request permission to join). Our Writer’s Forum is here. Permission to display our Member BADGE on your website. Sign in to your account and download it here. Your print and electronic copy of NETWORK, our quarterly newsletter, with craft articles, local writing-circle notifications, and member news. Opportunity to join local writing groups – this benefit is currently under development, with more news to come in 2019. Send any questions to Laura Kieley, our Board Vice Chair, at iwwgquestions@iwwg.org. ANNOUNCE the publishing of your book complete with a full-color picture of the book cover in Network.You can send your announcement to membernews@iwwg.org. The opportunity to PITCH YOUR WORK to agents, one-on-one, at our New York City events, for a member-discounted conference registrant pitch fee. The opportunity to SELL YOUR BOOKS at our conference book fairs at no extra charge when you are a registered conference participant. Register for our conferences here. A FREE SEAT in our online members-only events, including book clubs. View the calendar and register here. A DISCOUNT of 10% on advertising in Network, our member publication, and in our Summer Conference brochure. Request more information at iwwgquestions@iwwg.org. 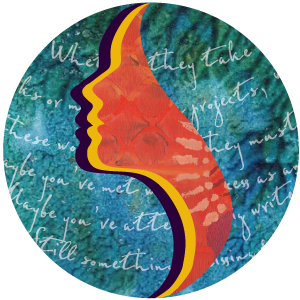 A welcoming community of women who write! GREAT NEWS FOR STUDENTS! We offer a Student Member dues rate of $45. Full- or part-time students who are actively enrolled in an academic program at a high school, university, or college (undergraduate or graduate) may send a photo of their active student ID in an e-mail along with their name and email address. Once we receive the documentation, we will set up an account and provide an invoice at the student rate. We invite you to join us and take advantage of these amazing benefits!